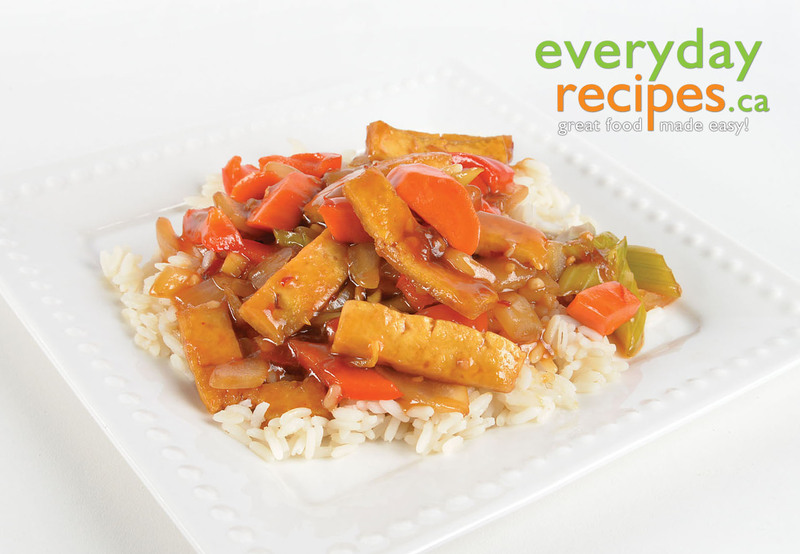 Over medium-high heat, sautÃ© tofu in a small amount of the oil until it starts to crisp. Remove from heat and set aside. Add carrots and rest of the oil to the hot pan, and sautÃ© until carrots just start to soften. Add onion and cook until it is translucent. Add bell pepper, celery, ginger and garlic, and sautÃ© until they just start to soften. Return tofu to the pan and turn heat to high. Stir the sauce ingredients together and add sauce to the pan. Stir continuously until the sauce is thickened. Serve immediately with your favourite rice.